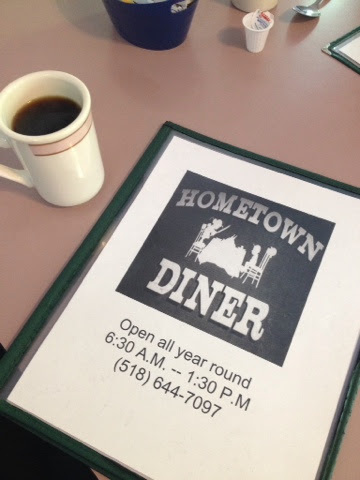 If there was ever a place where I thought I was on an episode of “Diners, Drive-ins, and Dives” it would be at the Hometown Diner in Bolton Landing. Truely a hidden gem, it is located just outside of the busy Bolton Landing business district. But, the food and atmosphere, I felt like I was in someone’s house, are awesome. The two-page menu, which includes lunch and snack items in addition to breakfast, is simple, but unique. I couldn’t decide between the homemader raisin bread french toast or the blueberry pankcakes. I finally settled on the pancakes after the waitress told me they were made with real blueberries. I was skeptical, but pleasantly surprised when I cut into the pancakes to find more blueberries than I could ask for inside of them. 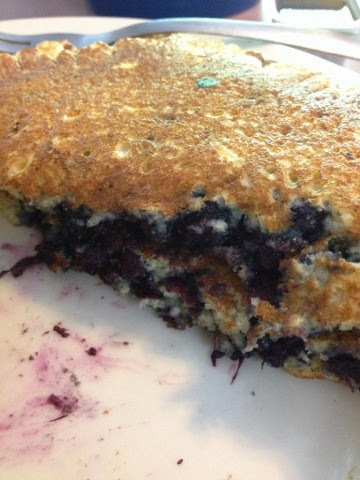 Not too dry, or too thick or thin, the pancakes perrfectly hid the wild blueberries until you started eating them. This place is going on the list of my favorites, and is absolutely worth a stop if you are staying in the area.